Have you just opened up a brand new iPhone 6S or iPhone 6S Plus? You're probably very excited and want to get started with your new Apple smartphone straight away. However, before you jam in your SIM card and begin transferring music over iTunes, check out our video below on how to set up a new iPhone. 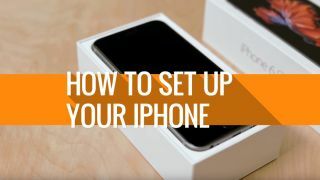 We'll take you through all the steps to make setting up the iPhone as easy as possible. By getting your new iPhone configured correctly straight away, you'll save time and frustration later. We also show you how you can quickly restore your files and settings from a previous iPhone or Android device as well. Don't worry if you've just bought a slightly older iPhone – as many of the steps in this video will also be applicable to your handset as well.